If you would like to set up a private workshop for a group of friends or coworkers, we would be happy to arrange it for you. Classes are fun ways to celebrate birthdays and baby showers and they make great gatherings for girls nights or small office groups (for larger work groups, head to our corporate events page). Our instructors require a minimum number of students, usually 4-6, to run a class. Once you choose a class from the options below, we will find a time when the gallery is open and the instructor is free. Contact us if you would like to plan a private class. 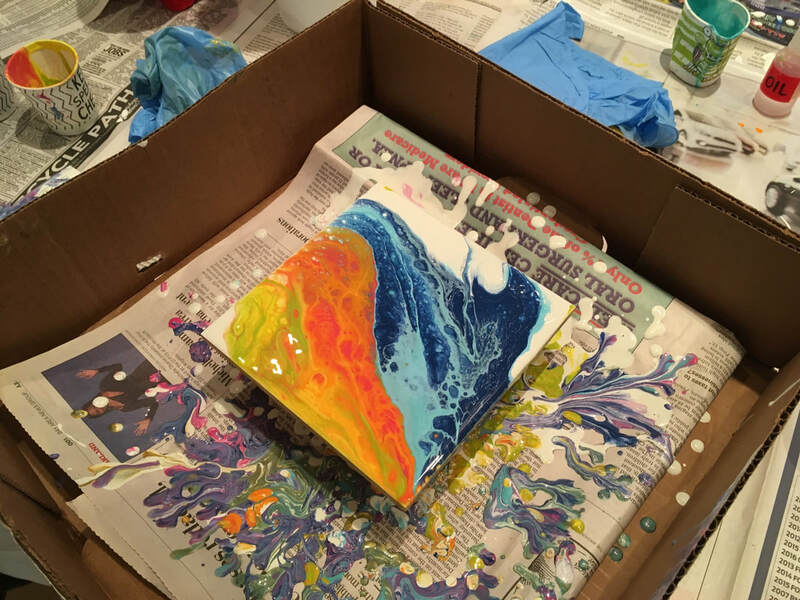 Learn how to use paint in a "Let it Flow" abstract manner, resulting in beautiful marbleized color. 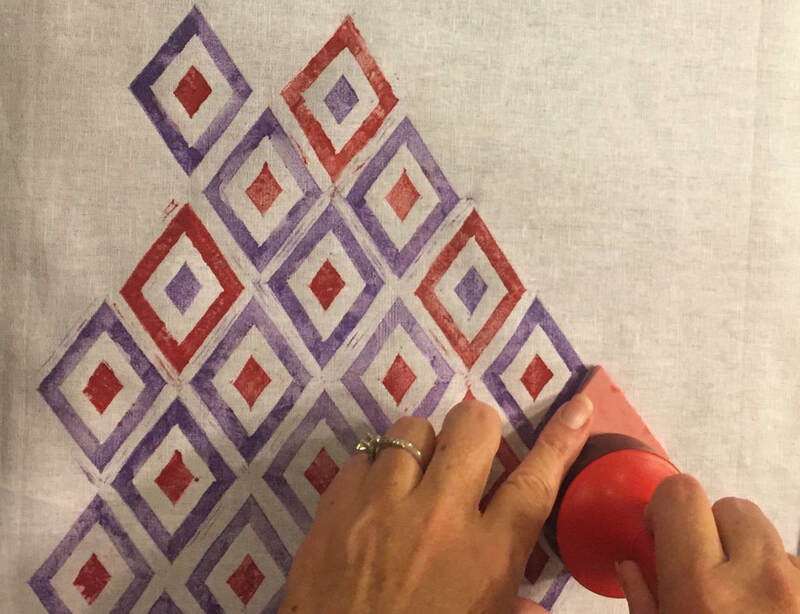 Instructor Casey Rasmussen White will help you create four approximately 6x6-inch paintings. Using your hands and soft merino wool roving, you will create a 30x50-inch blanket with Cara of Cara Corey Designs. Choose from 8 colors. For baby showers you can have everyone knit one row to complete a blanket. Learn how to heat soy wax to the right temperature, then add colors, fragrances and essential oils to create your own custom candle blends. Each person will take home two candles. 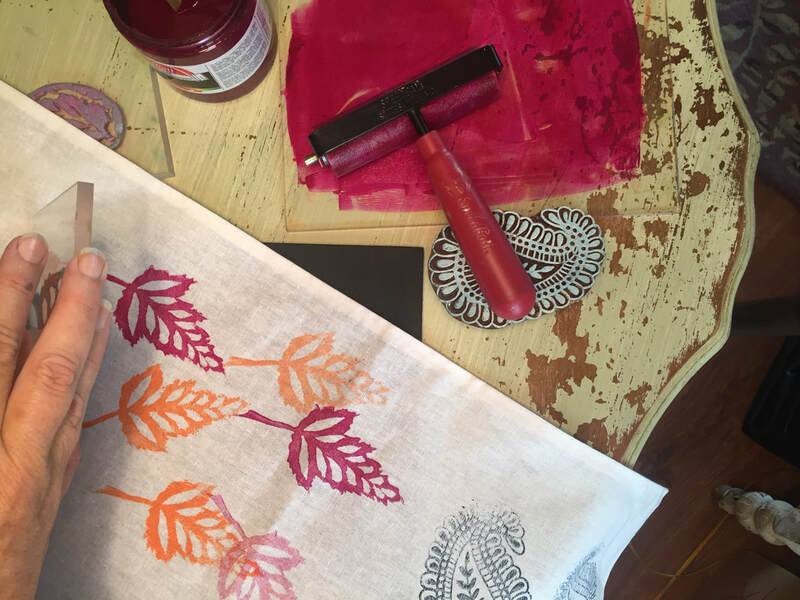 Learn the art of block printing (design, carve blocks, print and repeat) from Kathy Barlow of Home Workshop. You will take home your own patterned sling tote in black or white. 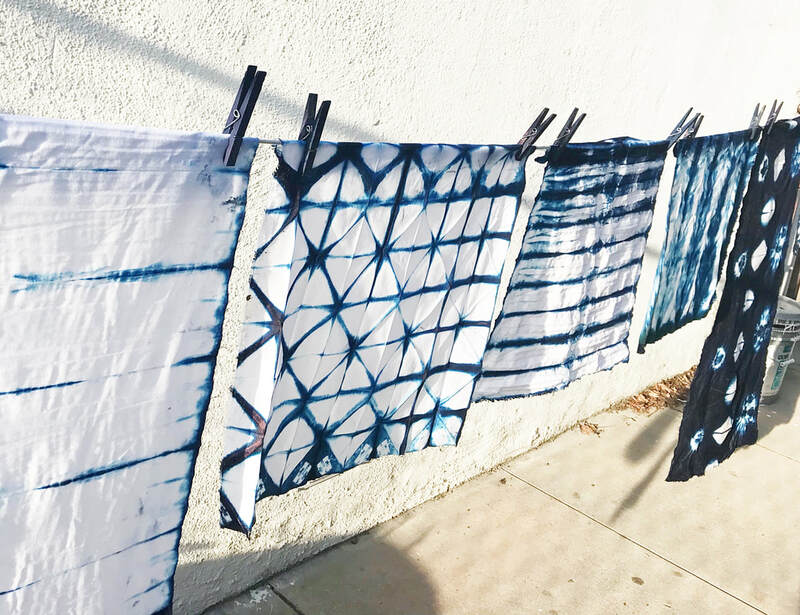 Explore different shape resist folding techniques to create patterns with indigo dye. 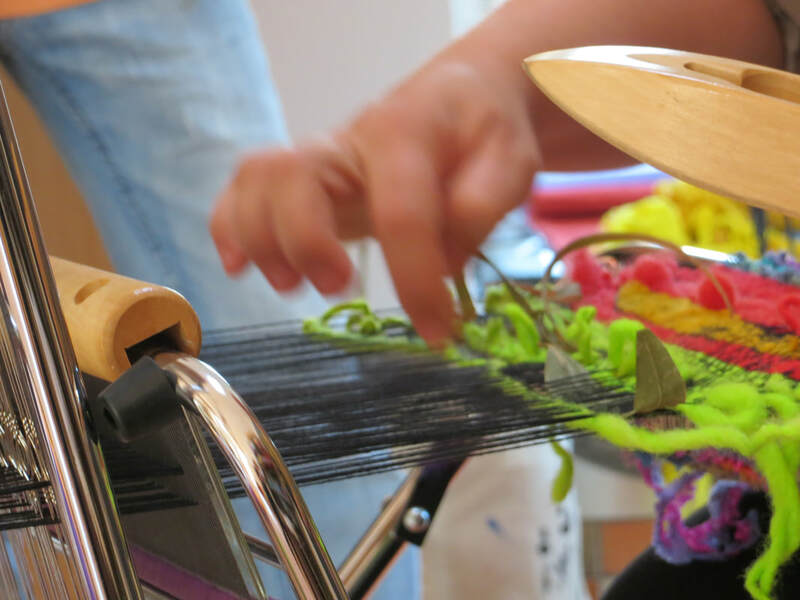 Learn from fiber artist Rajni Kavula and take home several pieces of fabric with your designs. You can even bring your own small items to dye. Unleash your creativity and take home a painting that celebrates the most pampered member of the family. Instructor Amelia Hyde will sketch from a photo of your pet on a 12x16-inch canvas and you finish the painting.